Also known as the BPBPB, it’s hard to beat this combination of flavors. First, whip up a batch of Gluten-Free Banana Pancakes. These are fast and easy and have been a household staple for us for the past few years. If you want them to be dairy-free, too, use almond or soy milk instead of cow’s milk. I usually use almond and it turns out great. 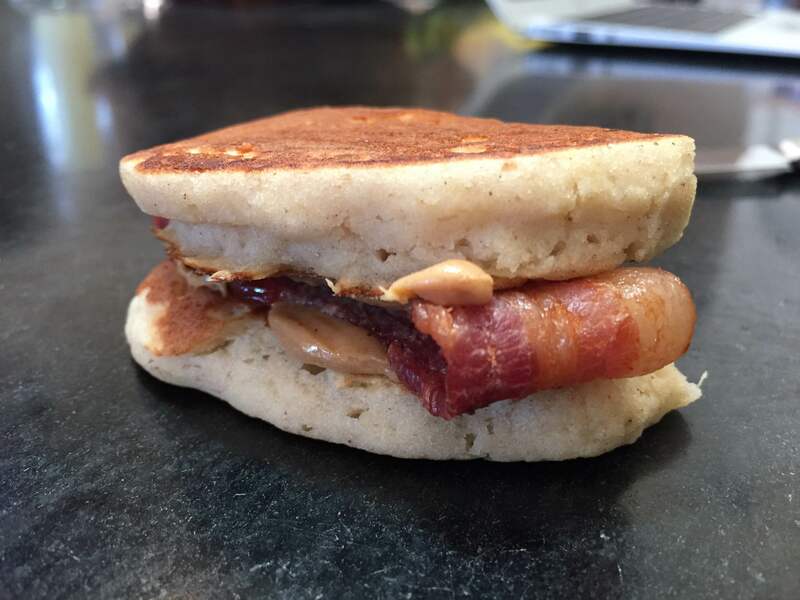 While the pancakes are still a little warm, spread on some peanut butter and a add hot slice of bacon. You can add banana slices to the sandwich if you’re feeling ambitious. All done. Kids love this! Messy, though.